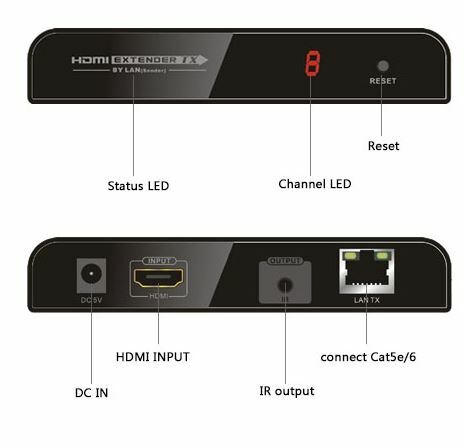 LENKENG HDMI IP Matrix Extender TRANSMITTER Unit. 1080p@60Hz. 16x Transmitters to 237x receivers over IGMP enabled network switches. Supports IR over network. Requires LKV373MATRIX-RX receiver. 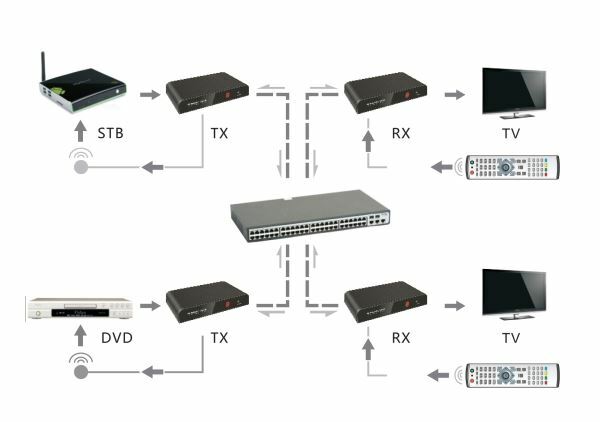 True Matrix/Extender supports up to 16x transmitters to a maximum of 237x receivers by using a network switch with IGMP management support. Each transmitter has a 1 to 16 channel selection then the receivers can select which input number they want to display by a push of a button or remote control. 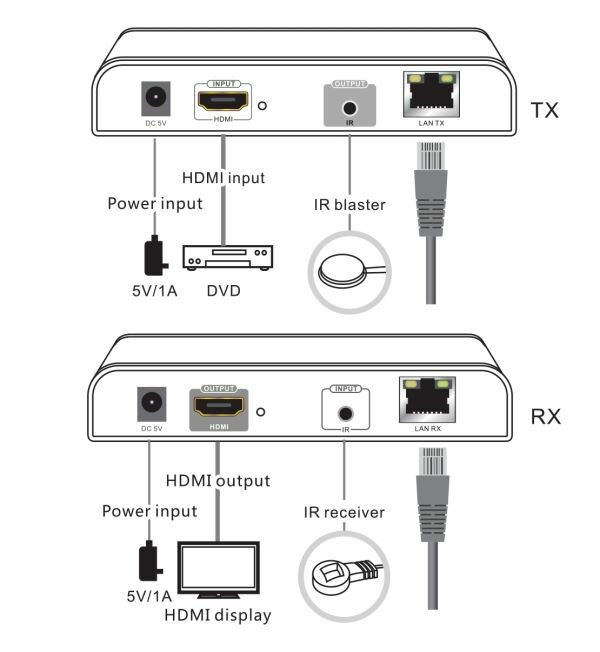 It delivers reliable HDMI transmission over single CAT5/6 cable and enables matrix extender function through Lan switch which supports IGMP, It supports TCP/IP, easy and simple to build video network matrix and it is with good stability and anti-interference capability. Widely applied in the fields requiring full HD, such as advertising business, product show, CCTV field etc.